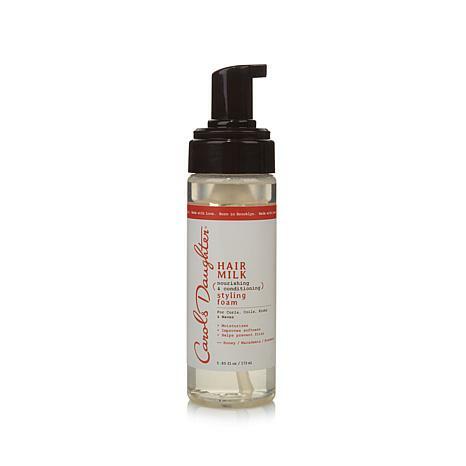 This weightless, creamy foam helps control curls, coils, kinks and waves for a moldable, medium hold that feels natural and never sticky. 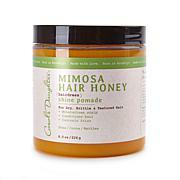 Plus, it locks moisture in to help tame frizz. Divide your clean, damp hair into sections, and apply 2 to 3 pumps of foam to palms. Rub your hands together and evenly distribute product throughout each section. For more oomph, add extra product at the roots. 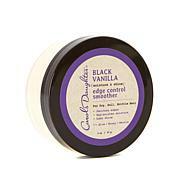 For extra moisture, great when blended with Hair Milk Styling Butter (sold separately). Formulated with nettle extract, rosemary extract, chamomile extract, honey extract, agave extract, macadamia oil. Vitamin E, horsetail extract, comfrey extract, hops and other ingredients. I like it- hasnt flaked, light weight- does the job! My roller set was smooth and there were no flakes! I will definitely continue to use. For my curly hair this is magical really wish it came in a larger size. One of my favorite product by Lisa. Love this you dont really need a lot of it.